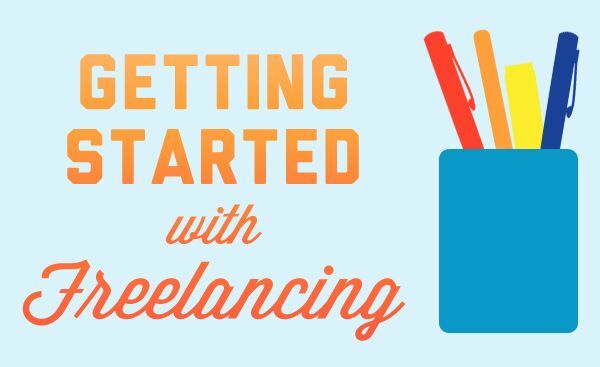 Have you ever thought about how to start freelancing and making your own online career? Have you had a chance to meet any freelancer who works online and you didn’t figure out about his quick way on how to make money online strategy? If you’re wondering how you can do freelancing or at least how people make money with freelancing, then this is the right place to scratch a bit and find the clues that will surely help. Because this might be the best thing you’ve come across regarding a freelance career — and of course — the article is designed not only just to explain freelancing, but to help guide you to start it right away. Do you know 53 million Americans who are associated with freelancing which is 34% of the overall workforce? It is estimated that it will reach 40% by 2020. CloudPeeps recently came up with an interesting article on freelancing trends in 2016 which clearly shows that Freelancing is on the boom. How can you Survive as a Freelancer without joining the freelancing sites? Before we go any further, let me tell you a bit about freelancing. 2 How can you survive as a freelancer without joining the freelancing sites? 2.6.1 I’m under 18, can i still become a freelancer? 2.6.2 Are these freelancing sites free to work? 2.6.3 How can I get first job in freelancing? 2.6.4 Do freelancer pays taxes? 2.6.5 How to become a content writing freelancer? 2.6.7 How can I start freelance with no experience? 2.6.8 Can i do freelancing from India, Pakistan, United States, Canada or any other country? 2.6.9 I literally don’t have much experience, can i still start freelancing? Freelancing is a business lifestyle in which an individual sells the service without being hired on the permanent basis. A freelancer works as an independent contractor who gets hired by the companies to get their specific work done, in other words you are the boss of yourself. The freelancing field is rapidly increasing in all parts of the world. The professionals from the fields such as web development, software development, content writing, graphic designing, fine arts, teaching, and business consultancy are joining the freelance model. Not only does it help them make extra cash, but they also opt to work full-time as a freelancer. This is the very important part of your freelancing strategy, first of all find out what you’ve got and what you always liked. It could be a hobby or something you’re at it. Make it a sellable proposition and shape it to market it. Whether it’s a graphic designing art or a cake baking service, offer whatever you have got. Being a freelancer doesn’t mean to just keep on selling your art without getting hired on a contract based job, in fact, you have to keep your learning process on to hone your talent and knowledge. This steps in your freelancing career teaches you to market your service as a freelancer. It’s more a brand building and marketing step where you build your identity and present yourself to get hired. Although, it also includes reaching out to the customers and brands with your offer, but it would be worth it if customers reach out to you after they feel that you have the value and talent to deliver. Remember that success with any field lie’s with continuous improvement and learning new things. IT Industry known for it’s advancement and improvement at a very fast speed as compared to other industries, so never ever settle, always tend to improve, keep on learning new things in your industry, this will get you an ultimate success in freelancing. Now Once you’re clear about your talent, learning, and grabbing the opportunities, you’re good to proceed with it. Now, the traditional freelancing technique will lead you to the freelancing platforms where customers arrive, post their jobs, and hire the freelancers to get the job done. Freelancer is a popular freelancing site launched in 2009. Its headquarters is based in Sydney, Australia. They have offices in Vancouver, London, Buenos Aires, Manila and Jakarta as well. Upwork came out as a result of Elance-oDesk merger resulting the advent of the biggest freelancing platform on the market. Elance-oDesk merger turned out as Upwork. Guru is yet another popular freelance marketplace which was founded in 1998 in Pittsburgh as eMoonlighter.com. Later on, in 2002, it was acquired by Unicru. Fiverr has been quite a buzz around the freelancing arenas. The job costs $5 on average, whereas different offering could make it to a couple of hundreds deal but do not under-estimate Fiverr for it’s $5 services because there are many ways through which you can get a job just by having a good freelancing profile. Additionally, In case if you are working on Fiverr, then do checkout Ahmed’s 5 Quick Tips to be an Awesome Fiverr Seller. Note : My guide on How to Make Money on Fiverr is one of the most engaging content regarding fiverr you will see on my site. 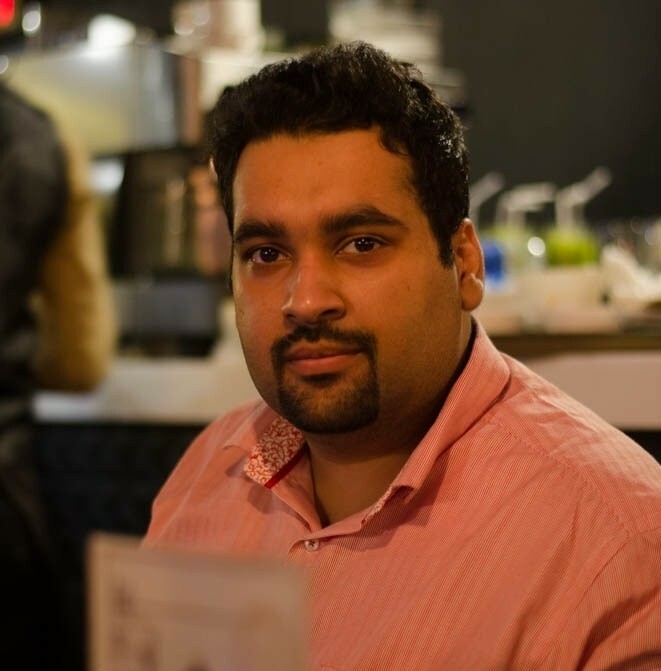 PeoplePerHour is a London-based freelancing platform. It was founded in 2005. It allows freelancers to post their jobs and charge the money they want. The merger between (Elance-Odesk) – now Upwork has created a place for another freelancing platform; PPH cashed the opportunity by coming into the market at right place and right time. So far my own experience with this platform is top notch. You got to admit that consistency does help. Once you choose the platform to hang out, make sure that spend time there on the regular basis. Unlike those freelancers who start off with the freelancing platforms with the aim to achieve big and end up in a month or two when they don’t get any project. The consistency is the key to success, especially in the freelancing. Don’t opt multiple freelance platforms, just do it on a single one. Without improving your communication skills, it would be quite a difficult story for you to exchange the point with the customer. Most of the customers analyze the capacity and caliber of the freelancer with his/her communication skills. Most of the times, it works with the message, but once the relationship between a freelancer and the client builds up, they also move to Skype or Google Hangout to connect with each other, and if that doesn’t go well, it could hurt your reputation. So, keep on trying to improve your communication skills. It’s extremely important to explain the case decently. Whenever you bid on a project, double-check with yourself that you clearly understood the problem and you have the solution. Don’t go to write a comment or bid on that project right away. The customer would take the time to select the best candidate anyway. Always bid for the relevant projects with your talent. For instance, if you’re a graphic designer and use to design logos, banners, corporate stationery, then go for a web development project if you didn’t master your skills in the web development. Always go for what you do better. Most of the freelancing sites you’d ever come across would have paid and free membership models. It’s always better to get a paid subscription in order to avail the better options and opportunities of getting hired. There are always perks attached to the paid plans and subscriptions, which is why professionals prefer paid plans. Before you go any further for selecting your freelance platform, make sure that you know about the payout options. Maybe, you wouldn’t have that payment method which that site is using and you end up frustrated at the end of the month. So, before you start working, make sure that the freelancing site you’re using has multiple payout options such as PayPal, Skrill, Payza, Bank wire etc. Many of today’s freelancing experts and full-time freelancers believe that freelancing is a business — You don’t need to take it as a part-time job in which you can hardly invest 2 hours a day and earn a few buckets on the weekly basis. Well, the point is whether you take it a lifestyle or a full-time business — it would actually lead you to another approach to freelancing. This approach to freelancing doesn’t follow the formal trends and norms of freelancing, not to mention the freelancing platforms. However, everyone doesn’t agree with this model as customer acquisition looks way easier on the freelancing platforms. A personal brand reflects your talent, name, and face and replaces a traditional brand name along with your personal brand. You can be anyone from anywhere to build a personal brand. For instance, if you’re a motivational speaker and get the speaking gigs occasionally along your job or business, and you’re doing what you love to do and you set up a brand that reflects your passion, name, and face, then it would be your personal brand. As far as freelancing is concerned, there is no harm in building a personal brand for a freelancer. All you need is clearly show that you’re a freelancer and this is what you offer as a service. Of course, you need a number of things to reach out people and communicate with them to build your audience in order to market your freelance service. Checkout my article, How to Build Your Personal Brand on the Internet? It all starts from a website and a blog. You must have registered your personal domain in order to get started with your personal brand. Get your site ready in a few minutes using WordPress. Without a website/blog, the job of building a personal brand would be halfway through. So, you better complete it properly. Your name and face must be there on your website or blog in order for people to correlate both and remember along the way. The online marketing experts like Jeff Bullas and Zac Johnson have focused on the personal brands. Even you can consider my personal digital marketing blog as an example too. This is another important thing you need to do for personal branding purposes, building connections with people and doing networking helps know more people about what do you do. In my personal experience, like i said above, most people are comfortable with doing business with people who they already know, this helps in building the trust they can rely on, so focusing on networking with people is another great way for personal branding. You can take help from Social media, attend events related to your field, talk with people & make more friends. Discussion Forums are another great way for customer acquisition. Many people use this method as a source for customer acquisitions not only because it’s cheap but additionally it helps you in building yourself as an authority. So what the game is? Find relevant forums in your industry, like I work in Digital Marketing Industry and in my field, BlackhatWorld, WarriorForum rules out, but the list goes on. So once you have selected few forums, you need to register there self with a username and profile. Add your website or service details in your forum signature link and start helping people by answering their questions in the forum. Most Forums have an additional category where you can Buy/Sell or Promote your services or Products, You can use that too for getting more attention. When you’re not hanging out on the freelance platforms, it means you’re going to alternative strategies which imply here. The publishing platforms help us get the space to express our vision and share the value with the prospects to attract them towards us. It would be perfectly fine to publish relevant content on LinkedIn Pulse, Medium, or WordPress.com on the consistent basis in order to engage the audience and get your word out there. What to Achieve with publishing? Everything that comes in will be the result of what you give away in the form of value. It’s extremely important to understand that you must have a mindset of a GIVER while publishing content. Because if your content isn’t worthwhile, why would someone be interested in talking to you. It doesn’t matter what type of freelancer you’re, whatever your field is, try to publish content. For instance, Behance provides artists and graphic designers to portray their portfolios in front of the global audience interested in finding latest artwork and graphic content. The audience engagement does wonders. You may not be aware of the strategy, but brands like Buffer and Buzzsumo love to engage their audience through publishing helpful and useful content on their official blogs. This gives them a chance to convey their brand’s message too alongside other useful and helpful tips. Email list building is by far the most effective, long-lasting, and evergreen online marketing strategy. When it comes to building a freelance career and a freelancer’s personal brand; there is no way to ignore the email list building process along the way. Use Mailchimp or Aweber for this. Checkout my guide on how to build your email list. The community building isn’t as simple as it might look. The irony is that it takes a long span of time and tireless mentally to keep contributing to the bunch of people who take advantage of your knowledge and experience, and hence start hanging out with you. It could be anywhere online or even offline. Start a Meetup group or set up a Disqus channel, no matter what you do, just start doing it, and do it on the permanent basis and you need to be consistent. If you for a one-second thought that why do you need a community to build your freelance career, then let me tell you the answer. The community building will always help you. It won’t harm you if you put effort and energy into it. Harbor a community. It will hone your brand. Once you know your skill, freelancing strategy and what to do, the next part is client acquisition. Getting your first order isn’t an easy, remember your profile is your first impression towards your client and if you do it, you will go successful. Remember to checkout my 9 Steps to Creating a Stand-Out Freelancing Profile That Wins Business & Clients. Once you get your first client, you need to do follow some rules for being successful, getting some good reviews and some recurring clients. Larry Page, Co-Founder of Google, Once said; “Always deliver more then expected”. To date, I still remember this and consider it as a first rule of success, in fact this is the easiest way to make your client happy, deliver what he wasn’t expecting. (Over-deliver). Freelancing is a business and communication has it’s own importance, which you cannot ignore. Most of the new freelancers do not know, how much important communication is. Try to maintain good relations with your customers and this will pay you in good way. Bundling other services is a great idea to gain more orders, when you deliver your first order, always ask your client on if you can help him with other things too, now since client have tested your skills, there are high chances that he will be interested in your other services too, today or later. Always respect and Meet your deadlines, remember this is a professional world and no one have time to listen to your excuses, so always think wisely before giving a deadline and once you give it, try to complete your work before the due date to give a good gesture to your client. Once your customer is satisfied with what you have delivered to them, ask them for reviews, this is a solid way to build your portfolio which will eventually help you in customer acquisition. Time to time, Keep on giving some discount bonuses to your old customers so whenever they need a service in your field, their first preference should always be you. Asking your existing clients for Referrals or new customers is a great way to get some new customers. This strategy does not always work but you need to be very carefully about when you are asking your existing clients for referral. Remember, build relations with your client, so that he can build your freelancing business. Some people even give some bonus or discount in their next project for the existing clients for such reference. This is pretty much a basic thing to tell to a professional freelancer that choose a specific category to build a community, but it’s important to tell as well. A community is always built on a common cause, so find that cause and start growing your community. The rules and regulations will define the limits which will help you manage the community. Make sure no one is allowed to abuse or being racist to any particular group, people, gender, or member. In fact, other problems such as spam posting will also be controlled by setting rules and implementing them as well. This is pretty common. You should invite like-minded people to join your community wherever it exists. Make sure existing members also bring in new interested people. You must be consistent with your engagement and posting in your community. It’s not about posting daily or starting a discussion on the daily basis, it’s about being there on the regular basis and respond to the others’ queries. I’m under 18, can i still become a freelancer? Yes, you can still become a freelancer if you are under 18. However for payment withdrawals, you can use the name of your parents or your elder siblings. Are these freelancing sites free to work? Most of the freelancing sites have a free package to start with, but if you want more bids and higher priorities on your listings, you may need to upgrade to a paid membership. How can I get first job in freelancing? Getting the first job is always difficult, since you have a completely new profile with no reviews. But here are some tips to get started. 1. Work on Your Profile Description. 2. Understand the Project Before Bidding. 3. Demonstrate examples while bidding. 4. Explain why you are the best choice and how you will do the project. It varies from country to country and what kind of freelancing you do. For example, if you work in US, you are accountable to taxes, depending upon how much you earn but in a country like Pakistan, if you bring foreign remittance, you are exempted from taxes but if you work locally, you are liable to taxes. How to become a content writing freelancer? Simply put your category as an article writer while registering on any freelancing website. Make a portfolio and show them as a sample to your potential clients to get started. You can become a freelancer online by either starting freelancing on any of the above mentioned websites or create your own website or blog or a social media page to get started. How can I start freelance with no experience? 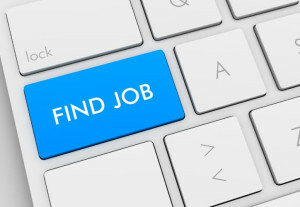 With no experience, you will have trouble landing for your first job. All you need to do is understanding how well your competitors are doing it and how you can replicate them with a unique USP. Can i do freelancing from India, Pakistan, United States, Canada or any other country? There is no country limit when it comes to Freelancing. You are free to choose your own country, get started and connect with any part of the world. I literally don’t have much experience, can i still start freelancing? The good news is that you can still start freelancing. However you may have to do some out of the box things to get initial and starting orders. Freelancers struggle, learn, and thrive, which is why people across the globe are adopting this field. You must know the value proposition of your art and how to sell yourself effectively; Once you know it, you’ll be standing in the crowd offering your service without any hesitation. The question of the day is, what will you offer to kick off your freelance career? how awesome you explained the ‘freelancing’! There is a lot to learn from you, elder bro! Now a days I am learning about freelance work and have created accounts on above mentioned sites. Thank You Naveed, I’m glad that you like the article, hope it has benefited you in some way. 1. Paid Subscription are good for experts as they can pay and you made that as heading and you didn’t write something that could be helpful for newbies or beginners, whether you should provide us the right way as an optional that if you do it what would be the result? and what should a beginner do? like no maintenance in that paragraph. 2. In Fiverr section, you’d degrade its lower system by saying $5 platform, now let me tell you it is the minimum amount at fiverr so you should whether tell your readers that it is the platform that based on $5 but you can make more as fiverr itself introduced new features i.e customs offer and PRICING YOUR GIG BEYOND $5 , for more info visit . Actually this thing really demotivate newbies and make them confuse whether to go on fiverr or not as everyone want to make big money. 3. You mentioned very few platforms and given their histories but wait, where is the history of fiverr. Is that not an important platform to you? by discussing its history?. Okey let me tell you It was launched on February 2010, Don’t trust on me? Google to confirm. Keep doing this things but better to improve. Thank You John for writing here. I’m glad that you like my article. Without a doubt, I agree with what you said about Fiverr, Fiverr is not a $5 platform, but if you look again in the article, I said, ‘ but do not under-estimate Fiverr for it’s $5 services’ I also mentioned an old article of mine, where i showed how you can multiply your business by your fiverr profile. Once again, thanks for the appreciation and writing here. I’m glad that you like it. Now I get the point that freelancing is all about investment to build trust and authority or to make profile strong by adding some investment or Paid subscription and beginners should die because of their empty pockets, isn’t it? Well, You need to improve more and I’ve many points to discuss but don’t have time to run with a non-stop train. Keep sharing good stuff for your new readers only. John, You are taking it to another side. I believe, once you start earning money, you should start investing it in your own business. Let me appreciate your communication skills. Great article ali raza brother, thanks. Great Article, i was thinking about branding your self… and its great way to achieve big goals. Thank you Waleed! I’m glad that you like it. Can you tell me Which Freelancer Website are best to start work? I have already mentioned some sites, you can chose any of them. But if you ask me, I will start with Fiverr, Upwork and PeoplePerhour. A Comprehensive Guide,Thanks for Sharing ! 1- Freelancing with team is better or one should do It Individually? 2- How to convert a part time Freelancing into full time? Both are good in their own terms, it comes upto what kind of projects and companies you are working with, let’s say if you get a complete digital marketing project where do you need the assistance of different people to complete the work, then obviously going with a team is a right choice, so it varies from project to project. 2 – How to convert a part time Freelancing into full time? Well well, there is no strategy for that, you need to first find your goals and objective, if you are doing it as a part time, never leave your full time job unless you earn from freelancing as much as you earn from your full time job. Thanks Sir Ali Raza For Your Kind Response. Dear Ali Raza, awesome post, i am very glad to read this post, and going to start my freelance career. Thank you Jimy! best wishes for you ahead! Thanks for writing such an amazing and comprehensive post literally – as always. There is the only one thing I don’t like about Freelancing, that is, you can’t got so far. Anyhow, by blogging you can. Freelancing seems to work like a servant for someone. According to my choice if you/we can combine freelancing with blogging, then without any single spot of doubt, that would be great. Well Said Shakir, different things for different people. It’s not like freelancing is like being servant. You Always Rock Ali….. It is great Efforts Very Sooner I am starting a new series of Joining Pakistan Successful Blogers and Vlogers and you would be in my wishlist. Looking Forward to see you soon in My New Series “Ghayoor Abbas Official”. Thank you sir, highly appreciated. Thank you very much for sharing such a detailed article with us! I’m a little curious 😉 How did you manage to compose such a detailed article regarding freelancing? BTW it gonna help the freelancer all around the world. Keep posting!